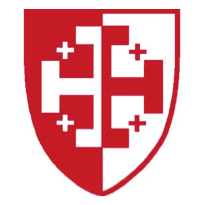 In 2000 St Chad’s Green Team started promoting awareness of our responsibilities towards the environment and sustainability of planet earth. Each year we hold at least one special service (usually in the summer) which focusses on an aspect of our responsibilities to the environment. There is a recycling box in the Welcome Porch of the church for used reading glasses, mobile phones, batteries, computer cartridges and postage stamps. The churchyard is maintained for the benefit of wildlife, whilst always remembering its prime purpose as a resting place for the deceased. 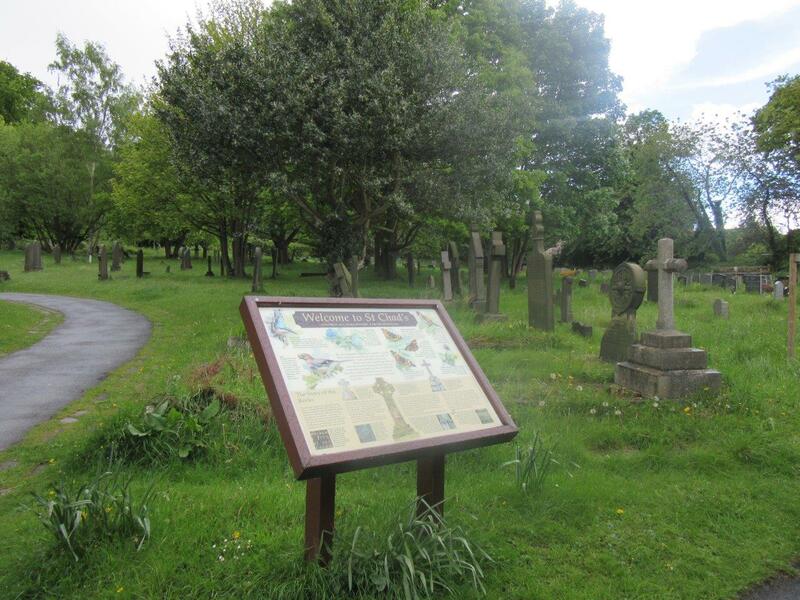 (see Churchyard as wildlife haven for further details). Find out about recycling and reusing opportunities across Leeds here. 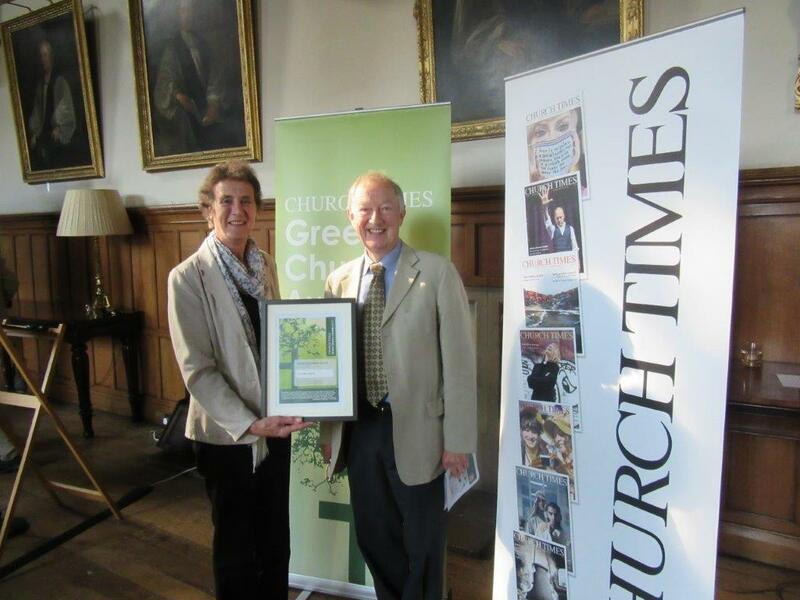 Read about our most recent recognition award from the Church Times here. 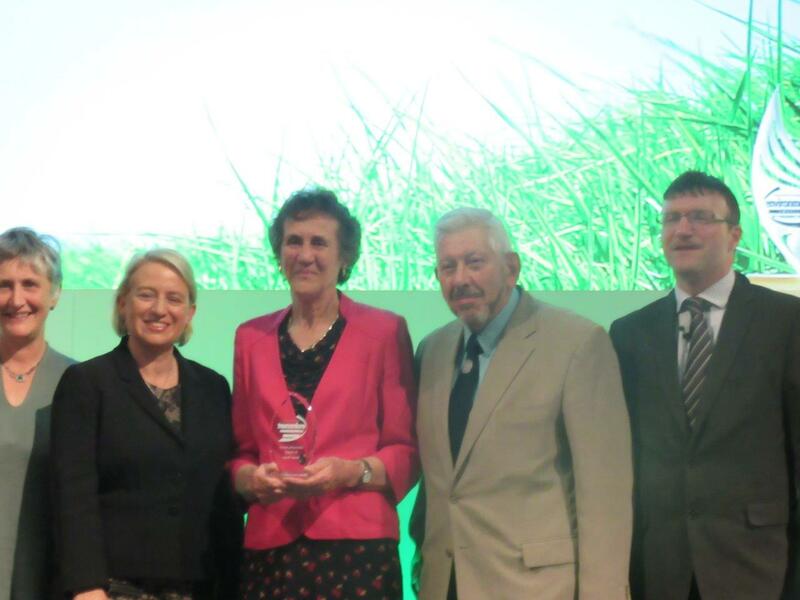 2007 Green Apple Award (Bronze) for Charity & Community Project. 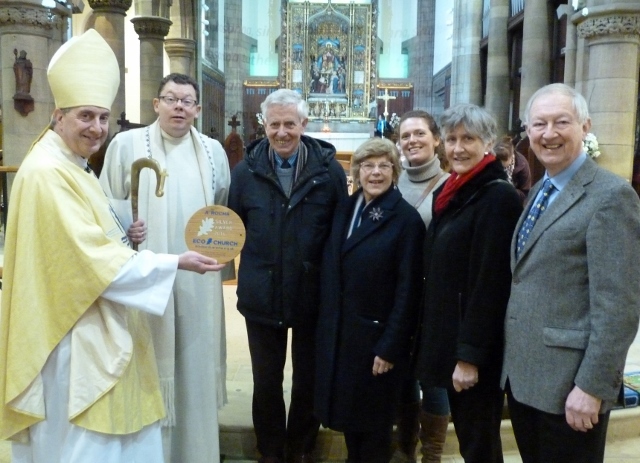 Bishop Paul with Revd Tom Lusty and some members of the St Chad’s Green Team – (left to right) Alan Griggs, Mary Henderson, Katie Fabri, Helen Cruickshank, and Mike Willison, receiving their 2016 Eco Church Silver Award.